Ministry of Broadcast is a narrative-driven single player cinematic platformer mixing Orwell’s 1984 with modern reality TV. A country divided by The Wall; to cross it and reach your family, you must compete on - and win - a reality TV show broadcast by the Regime. Visit us at PAX East 2019! 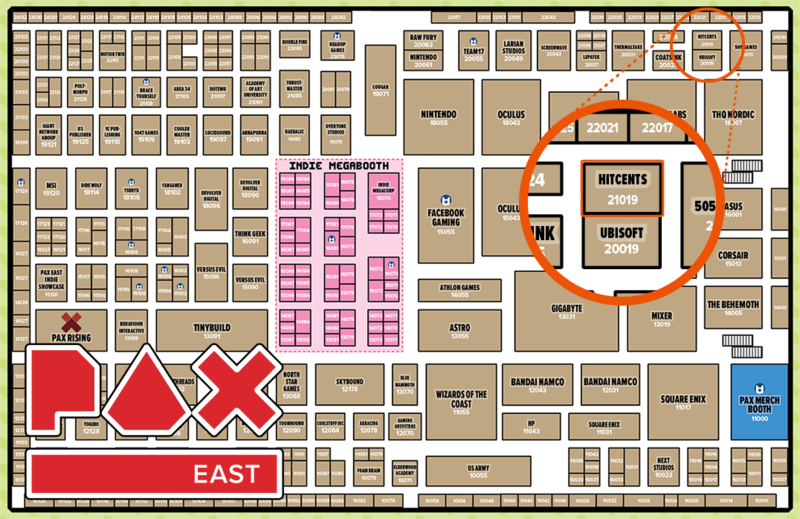 Find us at PAX East 2019 March 28th - 31st in Boston, MA to play an all-new PAX-exclusive demo, meet us, and score some loot! Ministry of Broadcast is being showcased in the Hitcents Booth #21019 (we're neighbors with Ubisoft). So much time, love and effort was put into this product. We want you to have something memorable, something that would remind you of the game. And this 3D collectible art figure is it. Created in collaboration with http://www.formwurx.co.uk/. A country divided by The Wall. To cross it and reach your family, you must compete on - and win - a reality TV show broadcast by the Regime. Ministry of Broadcast is a narrative-driven single player cinematic platformer mixing Orwell’s 1984 with modern reality TV. Rife with dark humor, sarcastic quips, and a general absurdity of the system. Seemingly built overnight, The Wall has divided both a country in two and a man from his family. To see them again, our ginger-haired protagonist has decided to become a contestant on “The Wall Show”, a Regime-organized TV show allowing competitors the opportunity to escape to freedom on the other side. However, as he progresses through the camp, our contestant soon realizes exactly how the Regime and the show operate. The promise of freedom is not exactly what it seems. Inspired by games such as Prince of Persia (1989) and Oddworld: Abe’s Exoddus, Ministry of Broadcast revives the spirit of classic cinematic platformers where players need nimble run-and-jump reflexes as well as a healthy aversion to falling from precarious heights. To reach freedom and family, you must lead the protagonist through each of the Arenas while under the ever-watchful mechanical eye of the Regime. The variety of hazardous, dilapidated environments hold an array of obstacles for you to manage—leg-shattering drops (scared of heights? ), flaming barrels of garbage (extra-smelly, extra-flamey), inconveniently-placed spike pits (of course), hanging steel beams (so much rust)—but none of this is to speak of the fates of those you meet along the way. Cinematic platformer: Run, jump, crash, and climb your way through each Arena as the narrative unfolds around you. Much of the story is unveiled via smoothly integrated animation sequences, within the environment, or from NPCs muttering bits of dialogue as you dive and dodge around them. Environmental HUD: Rather than having a screen cluttered with overlaid indicators, HP bars, and minimaps, any information the player will need is incorporated into the environment. Hints and clues are meshed into the game’s art, subtle and specific, players will need a keen eye if they want to survive each Arena without breaking their legs. Puzzle-solving: Use your wits, and at times a dash of ruthlessness, to advance through the Arenas. You’ll have to interact with the environment itself to solve most of the puzzles: use the protagonist’s momentum to move platforms, flip the occasional lever, and sometimes you might have to sacrifice an NPC or two to cross a particularly spiky pit. Story and Personality: Featuring lots of impish humor, Grade A sarcasm, and comic mischief, all balanced perfectly with the dark, heavy themes presented in this dystopian world.